Well, this is quite a thing to start off the morning. How many here have played any of the various Catan games? *watches damn-near everyone put their hand up* Yeah, that's what I figured. Catan has quite a long and storied history. Well, that history is getting a new chapter, as Asmodee North America has acquired the license to the English language publishing and sales of Catan from Mayfair Games. So what does all mean? Well, a new studio is being started, of sorts. Catan Studios, Inc. is the name being given to the team that is part of Asmodee. Mayfair isn't just cutting all ties, though, as they will still help with the coordination of all official events listed for Catan this year, as well as Catan Day, and the Catan World Championship. This change is part of a management change happening at Mayfair. Such changes include Larry Roznai becoming both President (which he already was) and CEO (formerly held by Pete Fenlon). Alex Yeager will now be the VP of Acquisition & Development, which had been done by S. Coleman Charlton. Various other VP and Director positions have new people in charge of them as well. 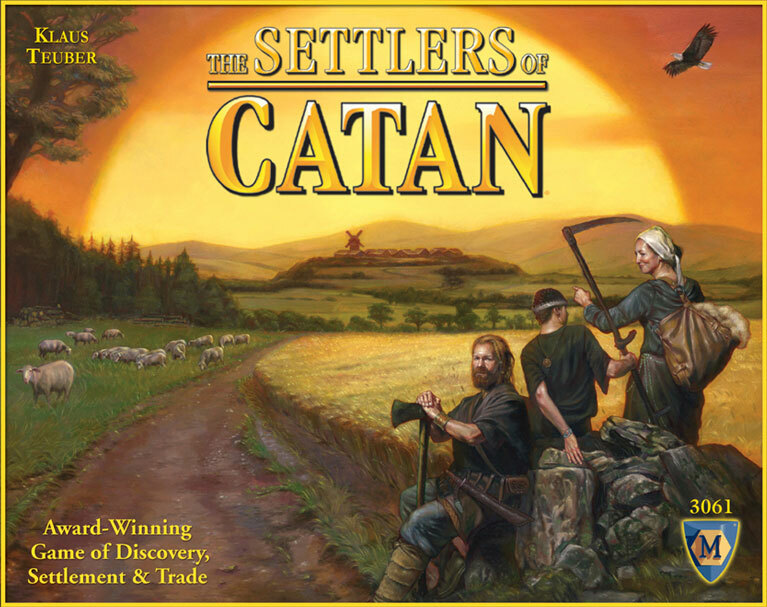 While Mayfair may be losing Catan, they're gaining several other titles. These include Steam, Aeroplanes, Automobile, Test of Fire, and Clash of Wills.